What a pair these two dogs make! It is unclear whether this St Bernard was photographed next to this little West Highland White terrier puppy, because they belonged to the same owner, or simply because when paired together they made an interesting subject. 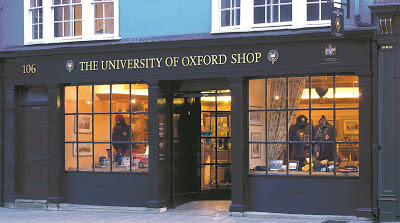 The photographers of this image were William Henry Wheeler and George P. Day of 106 High Street, Oxford, England. In 1865 Wheeler and Day purchased the photographic business of Edward Bracher which resided at 26 High Street and moved it to 106 High Street. 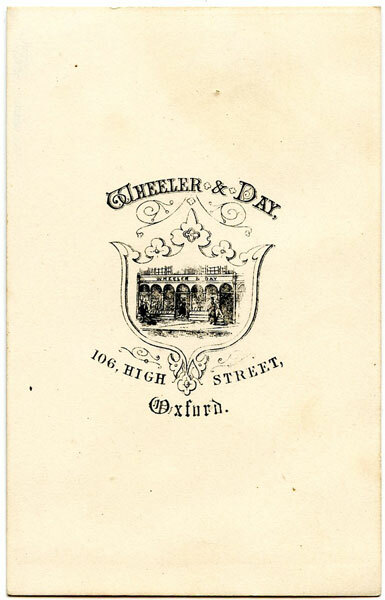 In Jackson's Oxford Journal for 28th of October 1865, Wheeler and Day advertise their new "large and commodious Photographic Gallery". 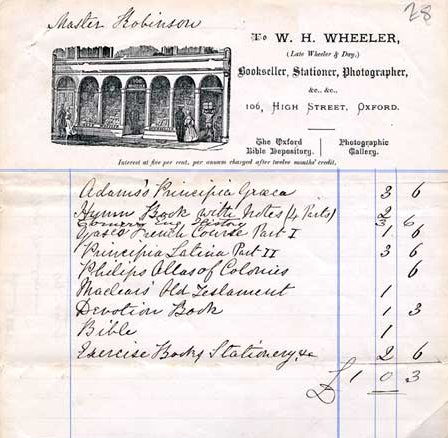 There is an engraving of the shop on the reverse of the photograph. 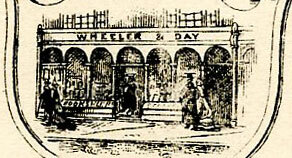 In 1871 Wheeler and Day separated as business partners, but Willian Henry Wheeler continued the business at the same premises. A very similar engraving as on the back of the CDV appears on Wheelers bill-head c1872, shown below. 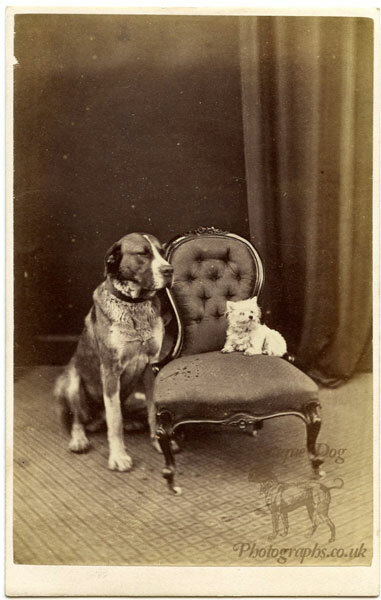 Taking into account this information we can date "Little and Large" to between 1865 and 1871. William continued to work until his death aged 87 in 1918 and the business was closed shorty after. Source Information: Principal Probate Registry. Calendar of the Grants of Probate and Letters of Administration made in the Probate Registries of the High Court of Justice in England. London, England © Crown copyright. 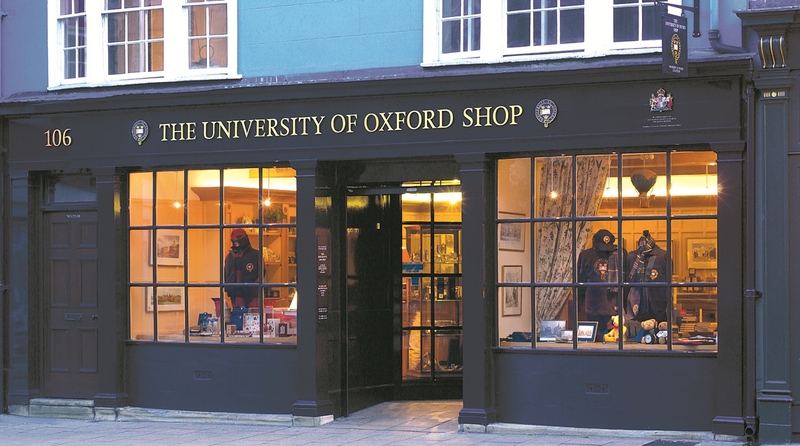 106 High Street is now the Oxford University Bookshop, and the shop front has changed little since Wheeler & Day set up business there 148 years ago as you can see in the image below.